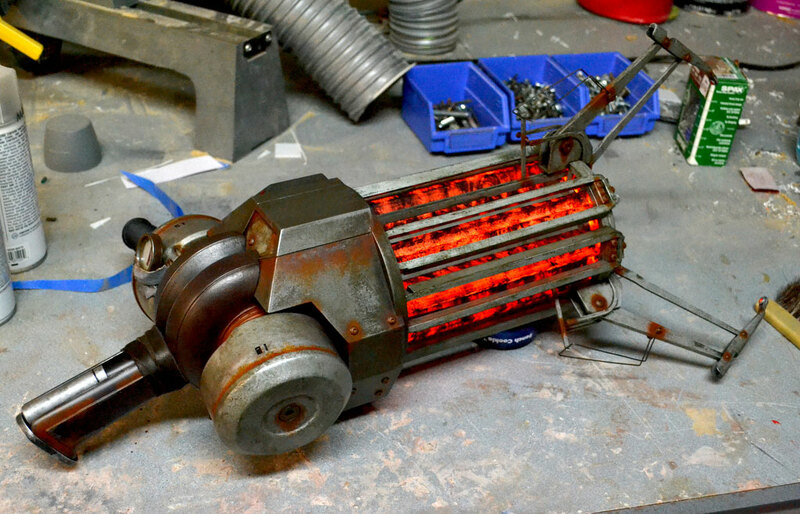 Master craftsman Harrison Krix has built himself a replica of Gordon Freeman's Gravity Gun from Half-Life 2. It's really something. Made internet famous by similar projects based on the weapons of series like Mass Effect and World of Warcraft, the gun has that post-apocalyptic finish you'd expect, along with some amazing lighting effects that bring the whole thing to life. You can see a massive gallery of the gun charting its progress from drawing board to finished product at Krix's Flickr page. It's...it's beautiful! Imagine if Volpin threw a mini vacuum cleaner motor in there to 'grab' light objects like cans and reverse function to shoot them off! I was disappointed because, for the briefest moment there, I had a strange lapse in judgement and thought that somewhere in this world, someone had developed a zero-point gravity field manipulator. It is certainly a nice model, however. The toaster-like orange glow is very pretty to boot.